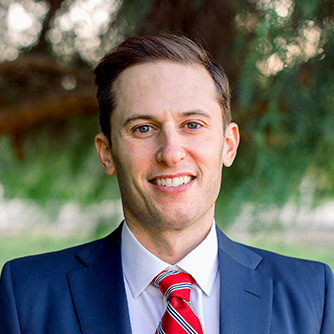 Alex Behar is a trial lawyer at Panish Shea & Boyle LLP, specializing in automobile accident, product liability, and wrongful death cases in Los Angeles, Orange County, Riverside, San Bernardino and across Southern California and Arizona. He has extensive experience with back and spinal cord injuries. Mr. Behar prioritizes his relationship with his clients, getting to know them on a personal level and ensuring good communication throughout the course of their case and beyond. In October 2018, Mr. Behar was a member of the trial team alongside Brian Panish, Dan Dunbar and Matthew Stumpf that obtained a $41,864,102 jury verdict and subsequent $46,000,000 settlement in a case involving a United States Air Force Captain who suffered catastrophic injuries after being struck from behind while on his motorcycle and then dragged the length of a football field and a half by a Southern California Gas Company truck. The parties agreed to a settlement of the case following the punitive damages phase of the trial, but prior to the jury’s verdict on those damages being announced. In May 2017, Mr. Behar and PSB attorneys Dan Dunbar and Candice Klein secured a $6,000,000 settlement for Darrel Nation and Anhthu Nguyen who were injured during an apartment fire in Long Beach, California. During a power outage, the Plaintiffs lit candles and believed that they were extinguished when they went to bed. Several hours later, a fire broke out and spread throughout the apartment. The Plaintiffs attempted to escape from their bedroom but their efforts were hampered because the release mechanism for the security bars covering their bedroom window was hidden and apparently inoperable. Eventually, due to the heroic efforts of city firefighters, the security bars were bent and Ms. Nguyen and Mr. Nation were able to escape. Mr. Behar provides unique insight on the litigation process, having started his career as a defense attorney. He has represented the interests of the nation’s largest insurance carriers and understands how they value claims, interpret policies, and litigate actions. Mr. Behar has also represented Fortune 500 Companies including the U.S. Bank and the Bank of New York Mellon in both state and federal actions. Prior to entering the civil practice, Mr. Behar clerked at both the Los Angeles County and Ventura County District Attorney’s Offices. He graduated from UCLA with a degree in Political Science. At UCLA, he was a JusticeCorps volunteer, assisting low income litigates with divorce and custody proceedings at the Los Angeles Superior Court. Mr. Behar is a graduate of Loyola Law School, where he was a member of the Hobbs Trial Advocacy Program and a member of the State Bar of California as well as the State Bar of Arizona. He is an active member of the Consumer Attorneys Association of Los Angeles and regularly volunteers his time to various pro-bono legal programs.